I used to work in very tech heavy jobs, consulting with big tech companies like Capgemini and Avnet. Back then I was one of the first people amongst my peers to get an iPhone and iPad for use with work. I enjoyed the luxury of being able to follow up on emails from the comfort of my home and get the updates about ongoing projects instantly; but after a while realised that overuse of tech was having a serious impact on my productivity and wellbeing. As the borders between ‘at work’ and being ‘off’ began to vanish I started having issues with sleep and my relationships as I spent too much time online. I needed a change so badly that I decided to move sectors just to get away from it. A few weeks later I got an opportunity to work in developing countries, and I spent 18 months in India working on various development projects that I really enjoyed. I also had a personal passion for yoga and meditation and while I was there I changed my perception of how I used technology completely. I was lucky enough to spend a lot of time off the grid and whenever I returned home I saw the change in the way people were behaving around technology. Essentially a difference in how technology was controlling them instead of them controlling technology. I have a specific memory coming home and being so happy to see my mum, who I hadn’t seen for a year and at the same time feeling a pull to want to check my Facebook notifications. That was one of the many signs to me that tech was starting to control my behaviour. I became interested in the science around habits and behaviours and so this is how UnPlug came about. It was an obvious response to all those issues around me. 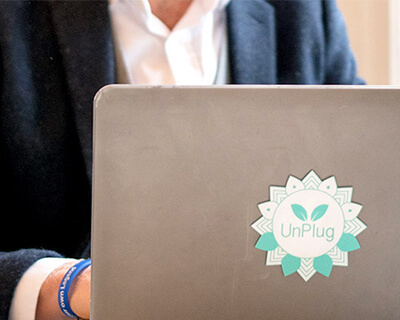 With UnPlug I always had a goal of creating ‘sustainable’ change in the way people use tech and emphasising that tech is not necessarily the issue – it’s the way we use it. We need to have a more mindful relationship with it. Now, I have returned to working with huge tech companies with an amazing team and a solution in my hand. We work with a wide range of organisations to maximise employee productivity and reduce tech stress. We also developed youth programmes and retreats where the participants can learn how to get the positive benefits that technology provides while minimising the negatives of tech overload. We have an obsession with being really good at being busy i.e. always on and yet we really flourish when we have a balance of being on and off. The culture of being always on means that often downtime and rest is seen as a weakness when in fact it’s the opposite. Some of the most successful business leaders including Jeff Weiner and Bill Gates put their success down to having rest time. Having downtime even as small as 15 minutes is essentially like refuelling, meaning that if you get good quality rest your performance at work will improve. For me personally, another benefit of spending less time online is using that time more effectively. 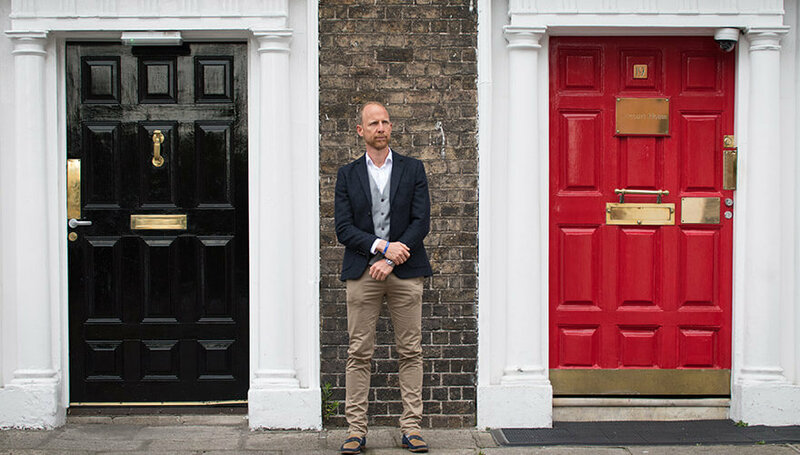 I’ve previously volunteered with ALONE and Dublin Simon, however, now I spend two nights a week having tea and chats with older local neighbours. Giving my time is not only serving the people I meet but also great for me as they are some of the funniest and most interesting people I know!